Coronary CT - Why Isn’t its Usage Soaring? Why hasn’t coronary CT angiography (CCTA) really taken off as a chest pain triage strategy? Or, as a final stage, pre-cath noninvasive screening tool for certain patient populations? The potential benefits and cost savings associated with CCTA have been recognized and well documented. Clinical studies and research papers continue to tout its cost effectiveness and clinical efficacy. Yet since the advent of the ultrafast, 64-slice CT era began, its increased use has been slow – painfully so to those who promoted its use only a few years ago. A perceptive article appeared in the November 2010 issue of Diagnostic Imaging. Dr. David A. Dowe, medical director of the coronary CTA program at Atlantic Medical Imaging in Galloway, New Jersey, an early proponent of CCTA, offered his thoughts in an opinion piece entitled, “Coronary CTA really works, but why isn’t its use soaring?” In an accompanying editorial entitled, “The deck is stacked against coronary CTA: why it matters,” the journal’s editor, John C. Hayes, weighs in support of Dr. Dowe. The Radiation Dosage Scare – The uproar over radiation exposure from medical imaging tests kicked off a national debate over dosage that spilled out into CT. CT volumes dropped up to 20% in the outpatient setting. CCTA, which in original form exceeded the radiation doses commonly quoted for catheter-based angiography, was affected even more as it became a political football by those who wished to maintain the status quo. Radiology Business Management Companies and Insurance – The explosion in medical imaging volume and costs is well known. For real or perceived reasons, this has put imaging in the crosshairs of the insurance industry, which moved aggressively to confront the problem. 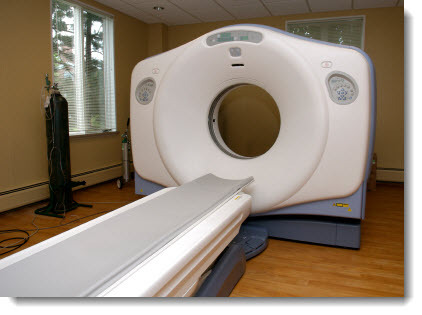 Insurance companies contracted with Radiology Business Management Companies (RBMs) to pre approve all imaging scans. RMBs have not accepted CCTA as cost effective given underlying competing economic motives. RMBs may be reimbursed by how well they decrease utilization, or participate in risk contracts where their fee is determined by how far they drive down prices. In addition, the shift of copayments from employers to employees has caused some patient copayments for advanced imaging such as CCTA to soar. The Radiology-Cardiology Turf War – There exists an ongoing dispute between radiology and cardiology over the ownership and use of CCTA that has resulted in disagreements over ownership, control, training, certification and usage. Additionally, there is some level of disagreement among cardiologists over the appropriate usage and cost effectiveness of CCTA. To quote Dr. Dowe, “It is an internal conflict, which mixes both medical and economic considerations that are seized upon by the insurance/RBM industry as a reason for not approving any utilization of CCTA. They have a ‘Call me when you agree’ attitude.” Various regulatory and payment mechanisms have continued to address physician self-referral, which impacts cardiologists owning CCTA and supports radiologists grabbing CCTA market share (but then is a disincentive for cardiologists to refer patients to radiology for the test rather than use alternative testing which they themselves control). Dr. Dowe concludes that it is not clinical efficacy that is the problem with CCTA usage, but rather a host of outside factors that have embroiled and sidelined it, and the result has been less effective care. It will be interesting to see how this issue plays out over time and whether or not health care reform has any impact. As always, CFA invites your comments, suggestions and questions. If a blog is an electronic soap box, then CFA can be accused of standing on one and shouting about the continuing positive evidence of the utility of cardiac CT angiography in cardiovascular diagnoses. The reported results of the CT-STAT (Coronary Computed Tomography for Systematic Triage of Acute Chest Pain Patients to Treatment) Trial presented at the AHA meeting in November, 2009, gives positive results for the use of coronary CT angiography on chest pain patients in hospital emergency departments. Previous studies have produced similar results, but they tended to be small and single facility-based trials. We all realize what a challenge the ED has in the diagnosis of chest pain patients. Six million chest pain patients present to ED's in U.S. hospitals each year. Of these, 75% are found to have non-ischemic or non-cardiac etiologies for their chest pain. The diagnostic cost of diagnosing these patients is estimated at $12 to $14 billion a year. About 2% to 4% of acute coronary syndromes are missed and inappropriately discharged. This leads to an estimated 20% of malpractice costs being assigned to missed diagnosis of chest pain in the ED each year. The standard-of-care testing (rest and stress imaging after serial electrocardiograph and cardiac enzyme tests) for chest pain patients is time consuming and resource intensive, with results that are not always definitive. The use of CT resulted in a mean diagnosis time of 2.9 hours, compared to 6.2 hours for the standard of care. Use of CT decreased the overall radiation exposure from about 15 mSv for the standard of care to 10.8 mSv for CT angiography. Use of CT decreased overall costs for patients from a mean of $3,458 for standard of care to $2,137 for CT angiography. Availability of CT (specifically technical staff and interpreting physicians) within the hospital, particularly beyond daytime hours. Interpretation by qualified physicians. After hours coverage is particularly problematic and may require the use of a night read services, which increases costs. Development of protocols that highlight the indications and contraindications for the test, importance of heart rate control, administration of beta blockers and the like to obtain appropriate and assessable studies. Not every patient is a candidate for coronary CT. Continuing quality audits that track the quality of the studies and pinpoint non-assessable studies, and continuous review of CT cases as part of appropriate monthly multi-disciplinary conferences. Advanced Cardiovascular Imaging (CCTA) – A Critical Technology? Three-dimensional imaging diagnostics-in particular, Cardiovascular CT angiography (CCTA)-have been widely touted as the next big thing in the diagnosis of CAD and PAD. Nearly every day a new clinical article related to CCTA shows up in my inbox. What's the current state of 3-D imaging? While important, this technology has not proliferated as rapidly as many of us thought it would. It is clear that the reason is largely (but not exclusively) economic: the high cost of the equipment (beyond the scanners themselves, the workstations required to post-process and analyze results), the impact of the worldwide recession on capital purchases, lack of technological uniformity, lack of skilled technologists, the cost-related pushback by insurers (including Medicare) due to the proliferation of all types of imaging, fear of a negative impact on cardiac catheterization volumes, the time commitment and cost required for physicians to obtain proficiency, and so on. Overall, reimbursement has been challenging, with ever-changing policies and payment inconsistencies among payers. Given the current challenges, what trends relative to CCTA does CFA believe will be important for hospital cardiovascular programs in the future? If you don't provide access to CCTA, your cardiologists and vascular specialists may be motivated to work with your competition that does. Or possibly to purchase it themselves (if they haven't already) and go into open competition with you (another reason for hospital/physician alignment strategies!). New regulation, including healthcare reform, could mitigate this issue, but it will still exist. The use of CT technology will continue to be shared between Radiology, Cardiology and others, except in the largest volume programs that can justify dedicated (and cardiology-controlled) cardiovascular CTA. This situation drives the need for inter-disciplinary collaboration and a cooperative model for sharing access to the equipment and completing comprehensive interpretation of the results. ED usage of CCTA for chest pain triple rule-out (because of its diagnostic capability to assess aortic pathology, coronary artery disease, and pulmonary emboli in one scan) may soon become the standard protocol for diagnosis of chest pain. As hospitals continue to develop stroke center capabilities, quadruple rule-out examinations, which extend coverage from the skull base through the thorax, may become useful in patients with syncope, transient ischemic attacks, and cerebrovascular accidents resulting from carotid stenoses. The so called "half-body scan" may become more commonplace. Automated cardiac CT-analysis software shows promise, has a high negative predictive ability and may facilitate utilization for smaller, community hospitals. The recent Texas law requiring insurance companies to pay for CV screening inclusive of non-contrast CT measuring coronary artery calcification (calcium scoring exam) will most likely not soon be replicated in other states. Use as a universally accepted (and reimbursed) screening tool for asymptomatic patients is highly unlikely as well. Highest and best use may be as a "filter" to avoid invasive angiograms where likelihood of CAD is not very high. Over time, CCTA will become part of the diagnostic work flow for many cardiologists, cardiac and vascular surgeons, and become an expected part of their clinical routine. As 3-D diagnostic imaging continues to develop, consistent reimbursement is established, drops in cost, and is generally accepted by other specialists (especially for surgical/procedural planning), it will become the standard. Payers will come to see it as possessing real value. The trend to promote all 3-D imaging will help promote CCTA for cardiac and vascular use as well. The CFA team recommends that those interested in learning more about Cardiovascular CT contact the Society of Cardiovascular Computed Tomography (SCCT) at http://www.scct.org/. This is the leading professional organization dedicated to CCTA and provides its members with regular updates on education and training programs and legislative initiatives. SCCT publishes a journal devoted to the utilization of this technology.